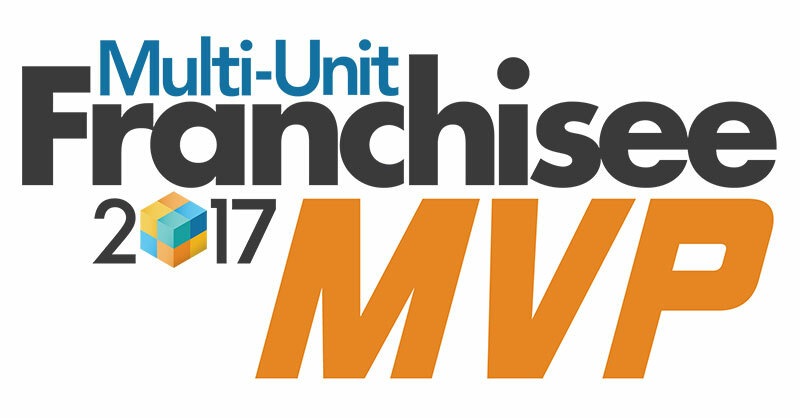 Multi-Unit Franchisee magazine is proud to once again honor franchisee excellence at our annual Most Valuable Performer (MVP) Awards ceremony at this year’s Multi-Unit Franchising Conference, April 23–26 at Caesars Palace in Las Vegas. This year had a whirlwind of impressive nominations. The 11 honorees have demonstrated outstanding performance in growing both their organization and their brands. These power operators, innovators, and creative thinkers keep raising the bar for all of franchising. To qualify, multi-unit franchisees must have at least five operating units and have been in a franchise system for a minimum of two years. Multi-Brand Growth Award: John Ponczoch from TA Restaurant Group has successfully achieved multi-brand expansion with hundreds of brands. Community Involvement Leadership Award: Karen Morse from Ben & Jerry’s has been selected for her continuous community service and setting an example for others to follow. Mega Growth Award: Eddie Rodriguez from JAE Restaurant Group has proven himself a leader in the expansion and growth of the Wendy’s brand. Spirit of Franchising Award: Mark Friedman has demonstrated exceptional performance and provided invaluable community aid while successfully representing the Senior Helpers brand. Influencer Award for Husband & Wife Team: Todd & Audra Fetter of Buffalo Wings & Rings for demonstrating growth, perseverance, and excellence as a team. Noble Cause Award: Bret Stewart with Auntie Anne’s, Cinnabon, and Schlotzsky’s for his dedication and passion toward those in need. Single Brand Leadership Award: Johnny Weber has successfully proven his support and leadership with the Sport Clips brand. Veteran Entrepreneurship Award: Kevin Kelly for outstanding performance and leadership by a veteran with the Planet Fitness brand. American Dream Award: Anand (Andy) Patel for achieving remarkable success in the U.S. with multiple brands including Applebee’s, Burger King, IHOP, Pizza Hut, and Travelodge. Innovation Award: Mitch York for bringing a new and unique opportunity to Maui Wowi Hawaiian Coffee & Smoothies. Pro Athlete Influencer Award: Brendon Ayanbadejo for exceptional drive and performance with Orangetheory Fitness. All winners will receive their prestigious awards at the 17th Annual Multi-Unit Franchising Conference, where more than 1,700 attendees will honor their success in franchising. Don’t miss the largest gathering of successful multi-unit franchisees in the nation. Register today and visit our conference website at www.multiunitfranchisingconference.com to learn more. Founded in 1988, Franchise Update Media produces popular franchise websites, magazines, research, and three highly regarded annual conferences that serve franchise audiences online, in print, and in person. Franchise Update Media delivers a unique combination of educational and lead generation sources to help franchisors, multi-unit franchisees, prospective franchisees,and suppliers achieve their growth objectives. For more information, visit www.franchiseupdatemedia.com.